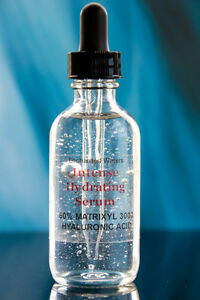 Details about HYALURONIC ACID 60% MATRIXYL 3000 Surpasses all other Anti Aging/Wrinkle Serums! HYALURONIC ACID 60% MATRIXYL 3000 Surpasses all other Anti Aging/Wrinkle Serums! I enjoy this product and time will tell if I see results. I enjoy applying it and like the overall smoothness on my face. I look for small lines to appear plumped and am so hopeful that it is what may happen but I am still not really sure whether anything much is actually happening. Perhaps with continued use I will be more sure. I do feel that it is absorbing into the skin so that is a good thing. I will continue to use it as I believe that your studies prove to you that it is beneficial for the skin. Hope the scientists are correct.